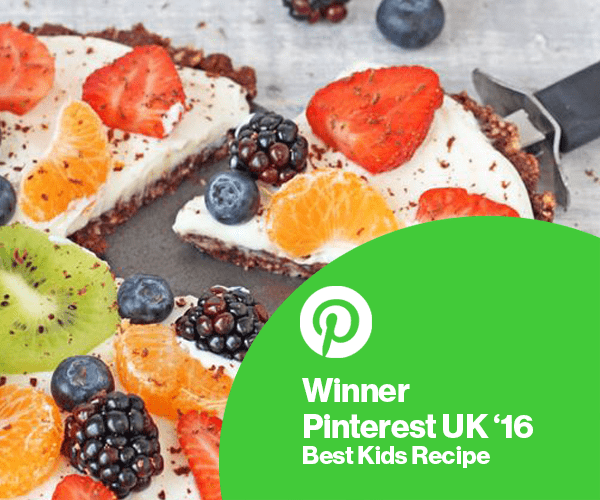 A nutritious and filling snack that will encourage your kids to eat more fruit! 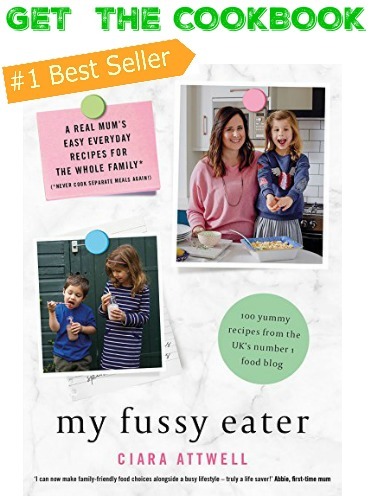 It’s the eternal battle; trying to get your kids to eat more nutritious food and less junk and even, heaven forbid, get a little bit excited about fruit and veg! 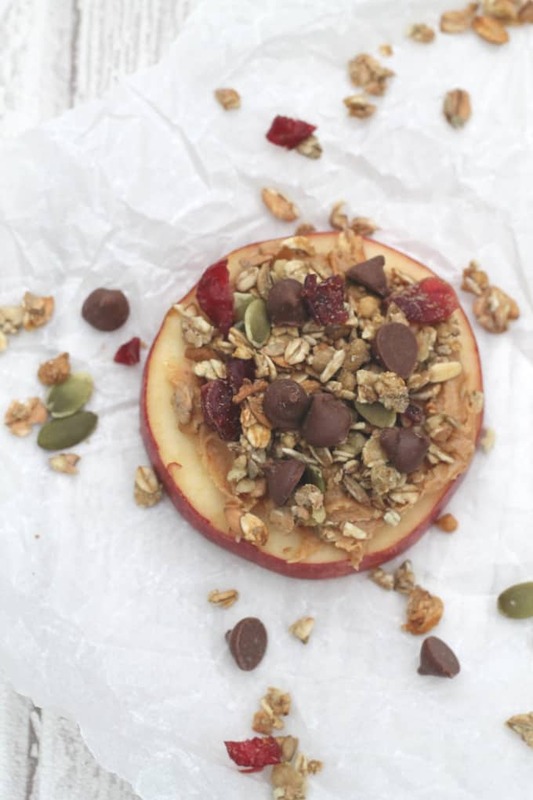 Chopping up an apple as a snack for my fussy eater just doesn’t cut it anymore so I have been trying to find more and more inventive ways of incorporating healthier snacks into her diet. These apple slices are fantastic as they look a lot more inviting than a plain old apple. 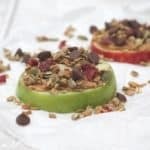 I’ve topped them with peanut butter, granola, dried fruit, seeds and dark chocolate chips. But you can of course choose any toppings which you take your fancy! This snack packs a powerful healthy punch. 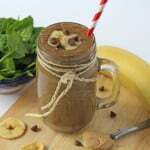 Its nutritious and filling and a brilliant source of fibre, protein and monounsaturated fat. I always buy Whole Earth Peanut Butter. Its a little more expensive than supermarket own brands but I think in this instance it’s worth it as it has no added sugar. 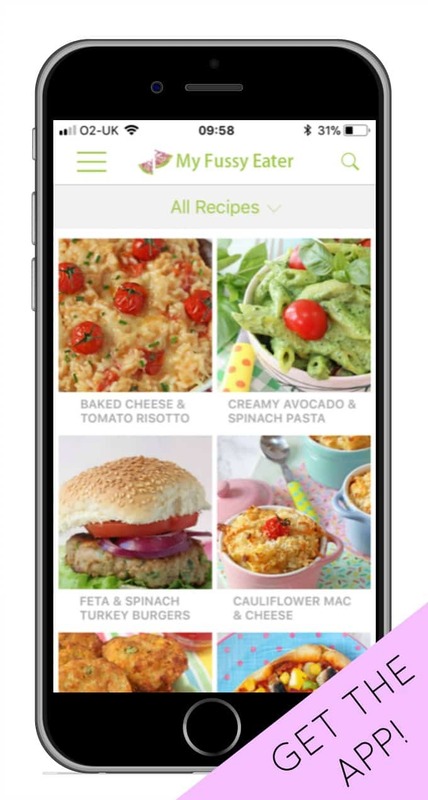 Do you have any tips for getting creative with apples? Let me know! 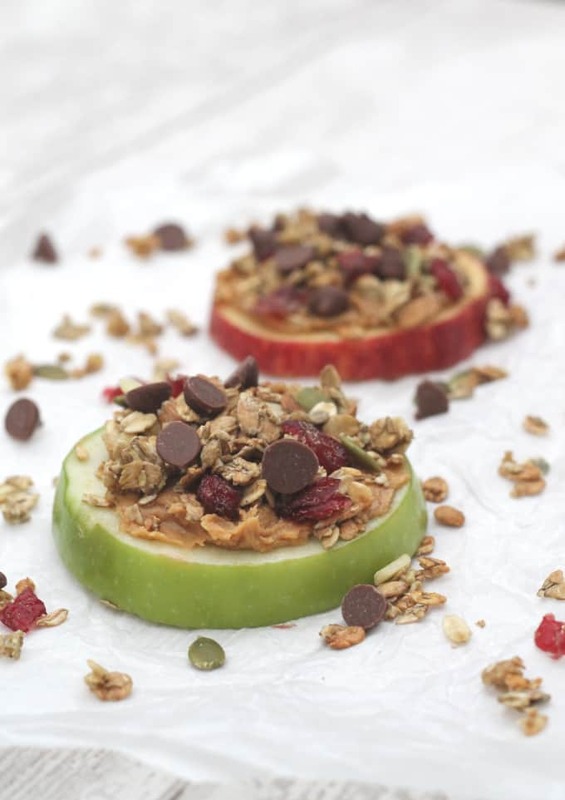 It’s fairly self explanatory but simply spread the peanut butter onto the apple slices and top with granola / seeds / dried fruit and then finish with the dark chocolate chips. The apples will start to oxidize as soon as they are cut so it’s best to eat these snacks straight away. Really tasty and such a nice change from just serving a plain apple! 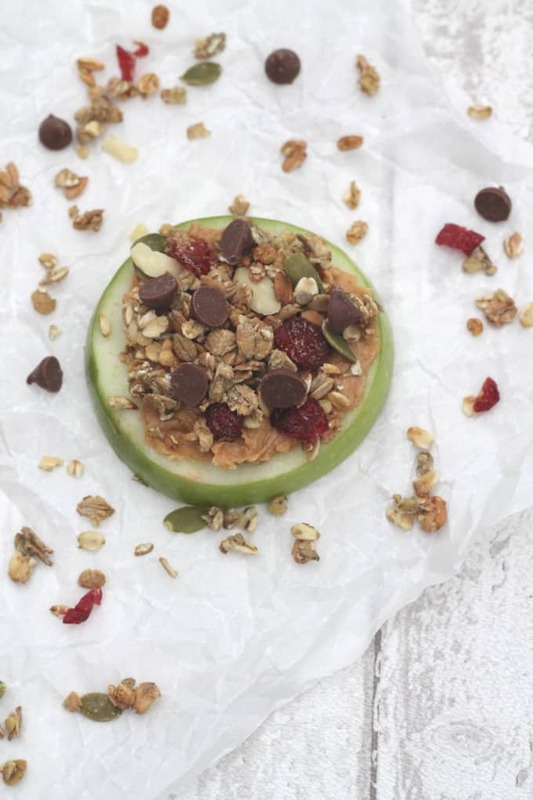 love this idea – peanut butter & apple are one of my favourite snacks! Ha ha! Me too Triona and I’m not usually a fan of apples! Apple and peanut butter has to be one of the best combinations. Such a good snack! Absolutely. 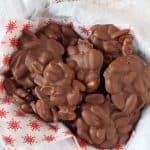 They were made to be eaten together! Yay! Apple and peanut butter wins at everything. Never thought to add granola before, but I’m looking at these pictures now and wondering why?! Ha ha! Yes the granola is lovely on it. Gives it a nice crunch. 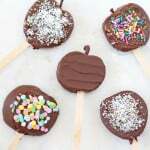 And the chocolate…well everything just tastes better with chocolate!